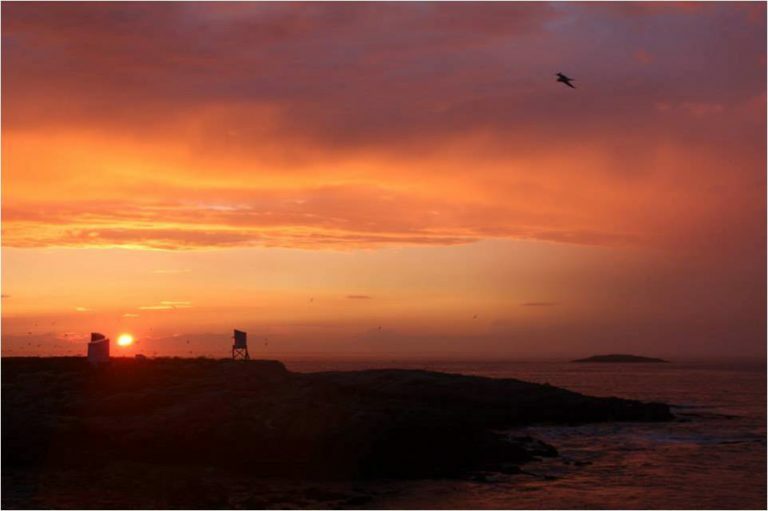 Join NH Audubon President Doug Bechtel, Biologists Becky Suomala and Diane De Luca, and the staff at Shoals Marine Laboratory on Appledore Island for a three-day birding adventure! 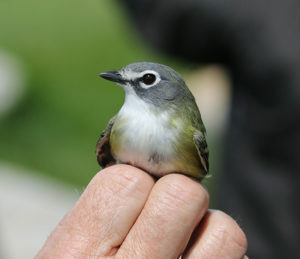 Blue-headed Vireo, by David Forsyth. Experience the magic of the Isles of Shoals in early fall. Two nights on Appledore Island will give us the opportunity to explore the diversity of the islands. Over 200 species of songbirds, seabirds, and waterfowl occur on Appledore as migrants – making it a perfect spot to observe fall movements. The Appledore Island Migration Banding Station will be in operation and we will have the chance to observe songbird migrants up close. Neighboring White and Seavey Islands are home to a thriving Common, Roseate and Arctic tern colony after restoration efforts were initiated in 1997. Most of the terns will have started their southern journey, but we will take a boat tour of the islands, hear project details, and land if possible. In addition to all the spectacular birding that the islands have to offer, we will take time to explore other aspects of Appledore, Shoals Marine Laboratory, and Celia Thaxter’s garden. Activities may include exploring the intertidal, an island history walk, or learning about SML's innovative research programs focused on understanding and sustaining the marine environment. On Monday, September 2, the boat departs Portsmouth in the afternoon - Exact departure time TBD. On Wednesday, September 4, the boat departs Appledore in the afternoon - exact departure time TBD. $710 per person includes all boat transportation, lodging and meals on Appledore Island – including a lobster dinner. Sunset on White and Seavey Islands, by Diane De Luca.